Home » Cancer » Ginkgo Biloba: Friend or Foe? Ginkgo Biloba: Friend or Foe? Ginkgo biloba has held a place of prominence in the world of herbal remedies for most of the past decade. This herb has been touted for its ability to enhance memory and delay the onset of Alzheimer’s symptoms. It may be that China’s “ancient healing herb” is going to be proven a fake. One source suggests that the start of gingko’s rise to fame in the herbal market didn’t begin with ancient Chinese medical wisdom. Ginkgo’s reputation may have been built in a German boardroom in the 1960s. There, marketers decided that if a ginkgo tree can live for a 1,000 years, gingko extract must be good for promoting a long life. 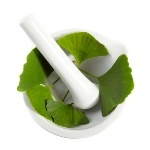 Ginkgo biloba was found by Western medicine researchers to be high in antioxidants. The herb has been shown to protect against oxidative damage in the brain, heart, and eyes. Ginkgo biloba has been prescribed to treat hearing problems, impotence, and macular degeneration, to name just a few conditions. All the more shocking then, to hear about the results of a recent study that says this popular herbal supplement may cause cancer. The study wasn’t performed by some small research company in some unknown laboratory—it was conducted by none other than the National Toxicology Program (NTP). The NTP prepared “the Report on Carcinogens” on behalf of the U.S. Department of Health and Human Services. This report is based on a scientific study and is created to specifically address threats to public health in the form of toxins. These toxins can be classed as agents, substances, mixtures, or exposures but they all have one thing in common: they potentially put people at an increased risk for getting cancer. To make it on the list of carcinogens, a substance has three areas in which it needs to be profiled. One section contains information on cancer studies that likely triggered its inclusion in the report on carcinogens. These studies may have been conducted on animals or humans and cite possible mechanisms of action. The next section lists the potential sources of exposure to the cancer-causing substance, while a third section contains federal regulations on how to limit exposure. Now, back to the case of ginkgo biloba. Back in March, the NTP conducted a study that found that a dietary supplement of ginkgo caused cancer in lab animals. Researchers discovered that ginkgo biloba extract caused cancer in the thyroid glands of male and female rats. It also caused liver cancer in both male and female mice. The FDA stated it won’t issue an alert based on one study. Critics of the study point out the animals may have been given excessively high doses of ginkgo biloba that is not similar to the dose an average human usually takes. However, experts supporting the NTP camp have countered that the testing would have been rigorous, professional, and of a very high standard. The FDA has already stepped in to ban ginkgo biloba from food and drinks. But they are hesitating when it comes to banning the herb from supplements. They are concerned that the extract used for this study could be different from those that you are able to buy in stores and herbal pharmacies. Time will tell if ginkgo is now deemed unsafe as a supplement. Knowles, D., “Consumer group asks FDA to ban gingko biloba after study links supplement to cancer in mice and rats,” New York Daily News web site, June 3, 2013; www.nydailynews.com, last accessed June 6, 2013. Jonnes, J., “Ginkgo and Memory,” Harvard Magazine web site, October 19, 2011; www.harvardmagazine.com, last accessed June 6, 2013. Ye, B., et al., “Ginkgo biloba and ovarian cancer prevention: epidemiological and biological evidence,” Cancer Lett. June 18, 2007; 251(1): 43-52.